Written by Sandy Fussell. Illustrated by Tull Suwannakit. Themes: pets; love; care; family; survival; resilience; happiness; seeking happiness. To purchase this book for your home, school or classroom library, click on title links or cover images. 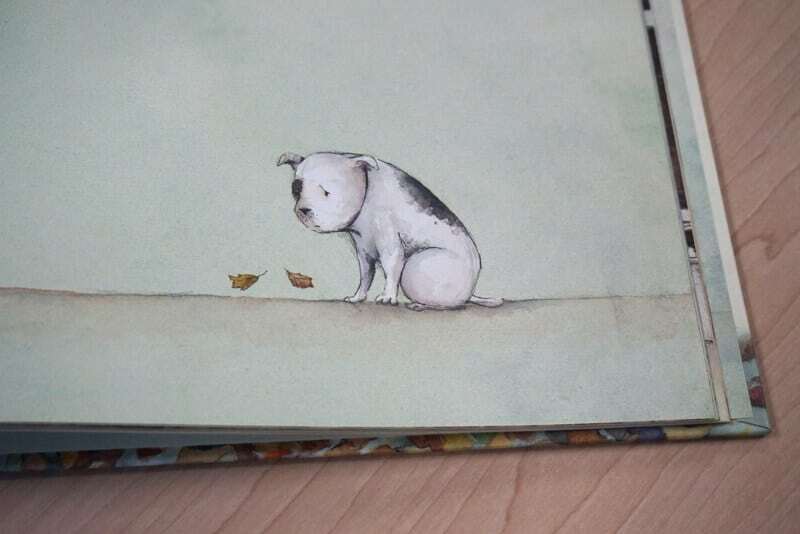 A clever little dog christens himself “Sad” when his humans fail to give him a name. Although they feed him and wash him, they don’t appreciate his many gifts, like his love of singing (“stop that yapping!”). When the people move away and leave Sad behind, Sad is heartbroken. But then a new family with a young boy arrives at Sad’s house in a big truck. 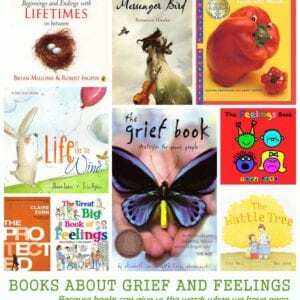 Tear-jerker of a book alert! 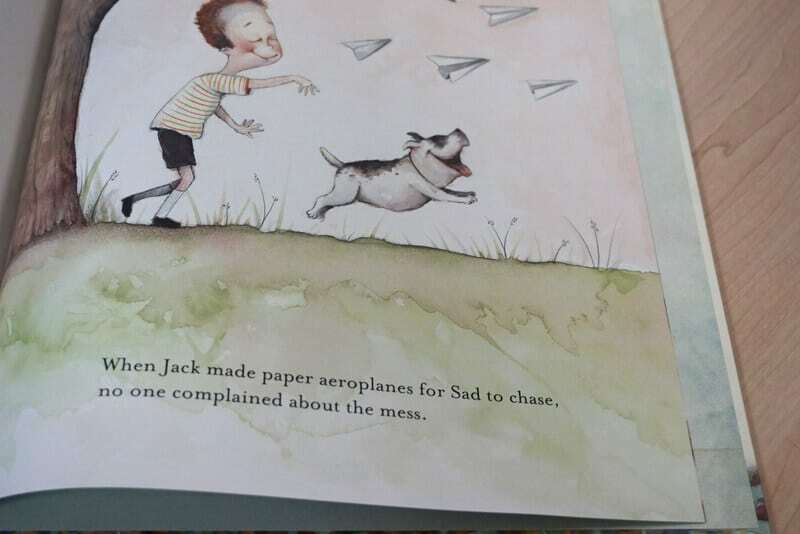 When ‘Sad, the Dog’ arrived in the mail I knew immediately it was going to be a tear-jerker because, a) all dog books make me cry and b) the dog was called ‘Sad’ and he named himself. Pass the tissues. I’ve long-loved the writing of Sandy Fussell, and I know more than a few of my colleagues who do too (looking at you Mrs Howden!). She’s a consummate writer of middle grade fiction and she knows how to engage an audience. But picture book author? I was not skeptical, as she’s skilled, but I was interested to see where Sandy would go with this venture. Sandy has, of course, triumphed, and I hope she stays in picture book world for a little longer as I do so love the world of picture books. 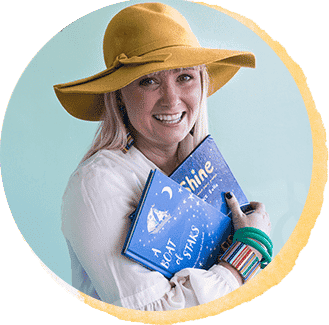 Sandy even knows how to really share a picture book with a young audience and extend the reading experience into something truly magical – check out her makerspace ideas for for the book here. Paired with illustrator Tull Suwannakit, ‘Sad, the Dog’ is a multi-layered text of great beauty and gentle wisdom. The text can be shared with a kindy class and wonderful discussions will arise about caring for pets, what pets need, and how we all need love and kindness shown to us in order that we flourish. 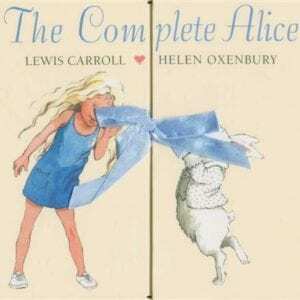 It could just as easily be read and studied by middle primary readers as an exquisite example of the craft of picture books – the interplay between text and illustrations, the multiple levels on which a picture book can work and the depth of feeling which can be harnessed in so few words and images. Then there is the adult readers. Oh my wordy. On first reading, it is a story of an un-loved dog. On every subsequent reading (and then as you’re driving along in the car pondering the themes of the book) it is every person, young or old, who is unloved in the world and is aware that they are unloved by the world. Tull Suwannakit’s illustrations are in perfect harmony with the text. The emotions on the faces of his people (disdain, loathing, disinterested and utter love) are only surpassed by the emotion he manages to convey on Sad, the Dog’s face. The colour palette is sophisticated, as is his illustration style, but there is still warmth and major child appeal in every image. 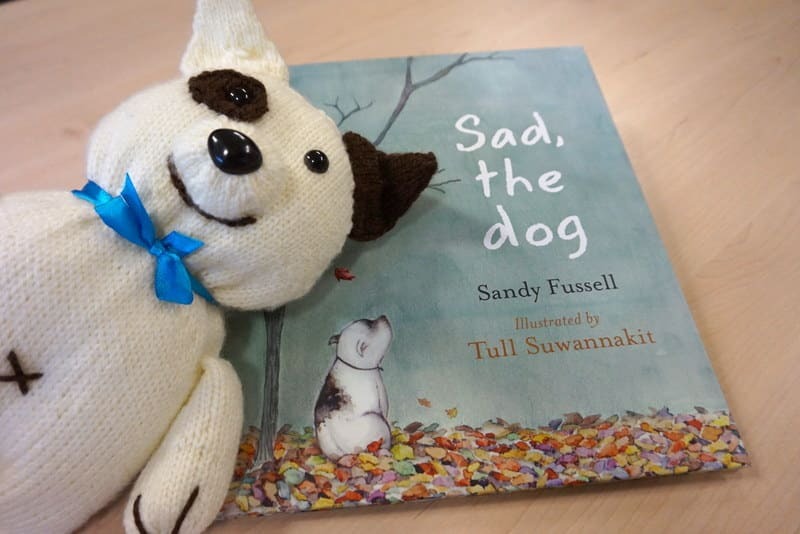 Not only did Sandy jump into the world of picture books, she also re-discovered her love of knitting with ‘Sad, the Dog’ and one lucky reader, thanks to Walker Books and Sandy Fussell’s knitting skills, will win a copy of ‘Sad, the Dog’ and a knitted Sad dog – who needs lots of loving. Entrants are required to leave a comment on the blog post associated the promotion and/or on the Facebook post associated with the giveaway and/or on the Instagram post associated with the post and be a newsletter subscriber. If you are a knitter, you can make your own Sad and show him lots of love as Sandy has provided a detailed pattern (getting nan onto it when she’s finished my next crocheted blanket!). 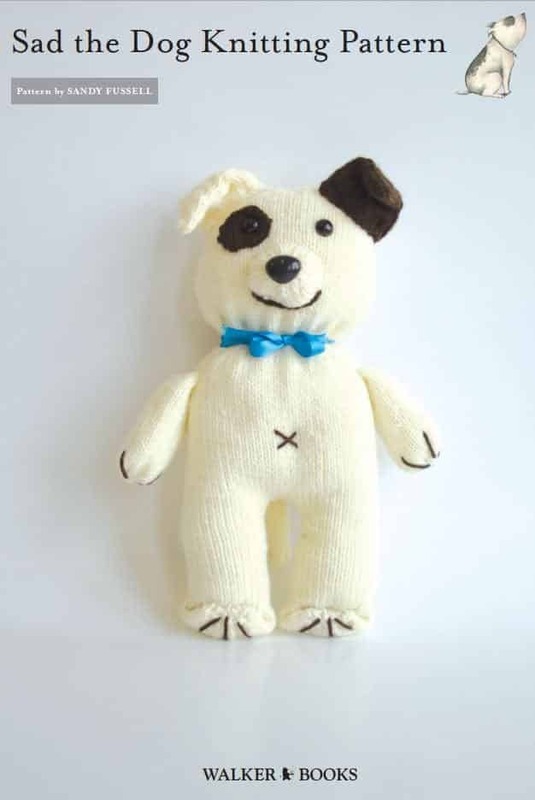 You can download the pattern here: Sad the Dog Knitting-Patten_WEB or by clicking on the image below. In the interest of transparency, I have received nothing in return for hosting this giveaway. My aim is just to spread the literary love, Thanks to Walker Books Australia and Sandy Fussell for the prize. 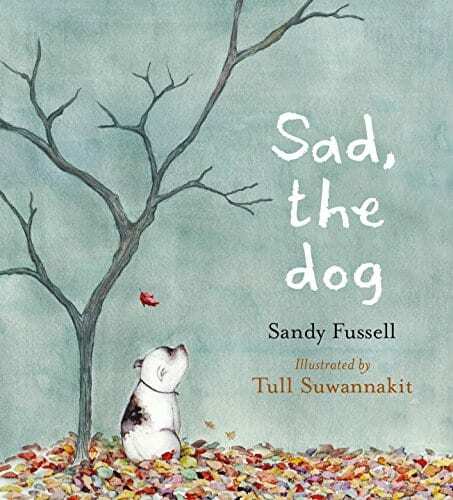 The ‘Sad, the Dog’ giveaway commences midday (AEDT) on Friday 9/10/15 and ends midday Friday 16/10/15. Entry is open to residents of Australia only. Persons entering must be over 18 years of age. Winners will be chosen by three CBD editors/guest bloggers/publishers/authors, from all eligible entries received. Winners will be contacted via comment function on the blog entry or Facebook status update or email address. The Prize will be sent to the winner’s address by Megan Daley, Children’s Books Daily. 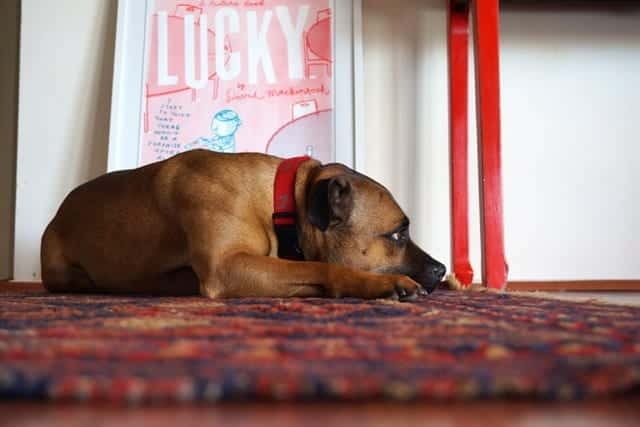 We have the beautiful Tyson in our house, and he reminds me very much of the character, Sad, at the start of this story. Tyson is all kinds of anxious and had a rough start to life until he came to live with us. It’s not all smooth sailing with Tyson, but he is loved. 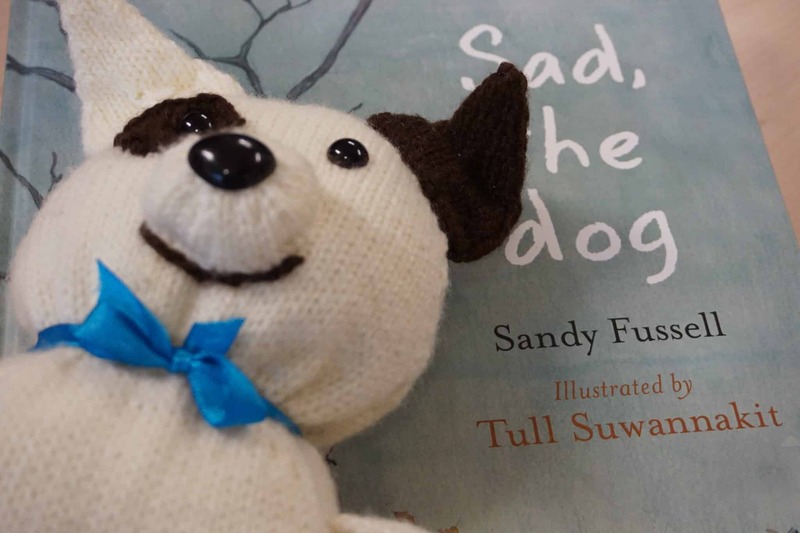 For more on ‘Sad, the Dog’ join in the fun of the Blog Book Tour this week! What a beautiful book. I am constantly amazed by the power of pets – for both the owner and the animal. i look forward to immersing myself and my students in this book and all its layers. Thanks for sharing the wonders of Sandy’s writing with us. We also have a Sad, albeit a super large one, when he was literal abandoned by his owners on the side of the road when they realised how big he was… fancy a Great Dane growing up to be a big bounding slobbery pooch! When we found him & called, we were simply told that he was no longer wanted. Heartbreaking. He is now utterly adored by our 18 monther (quite possibly TOO much) but hopefully, we can (over)compensate for his previous hurt. This sounds like a beautiful book. Thanks for the great review! Man I hate autocorrect – apologies for all the grammatical errors in the above post. Argh. What a beautiful book! I have been a dog lover my whole life and simply cannot live without one! Dog’s really become part of our families. A house without a dog…has no pet hair on the sofa! I love picture books so much and hope my two little babes (6 and 4) never grow out of them! I’d love this book for my Miss 6 in particular – she is so fearful of dogs and has always been. I wonder whether a story like this might help her see dogs in a new light?? It certainly looks wonderful to me. Oh! I’d love to give this book to my teaching partner. She loves dogs, and just lost one of hers. I think she’d love this…especially the cute Sad cuddly toy! I need this book for more maker space inspiration. I also have a student who I think needs to hear this story!